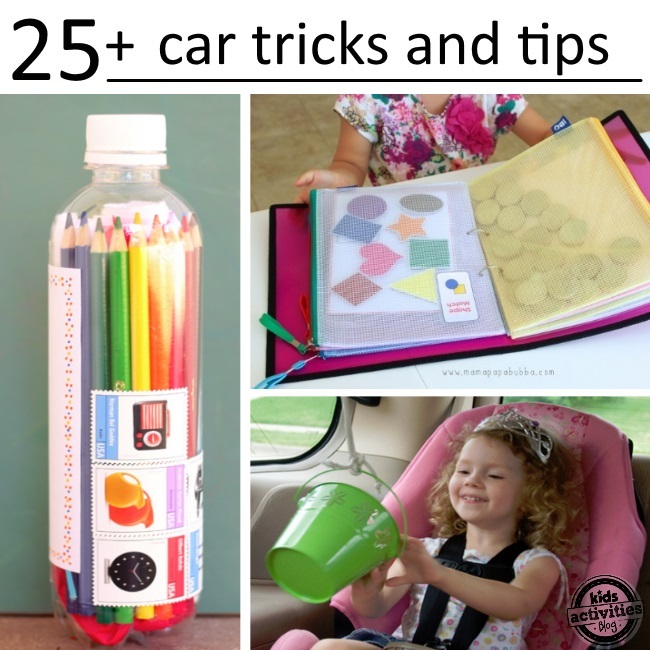 Turn a plastic cereal container into a mini on-the-go trash can. 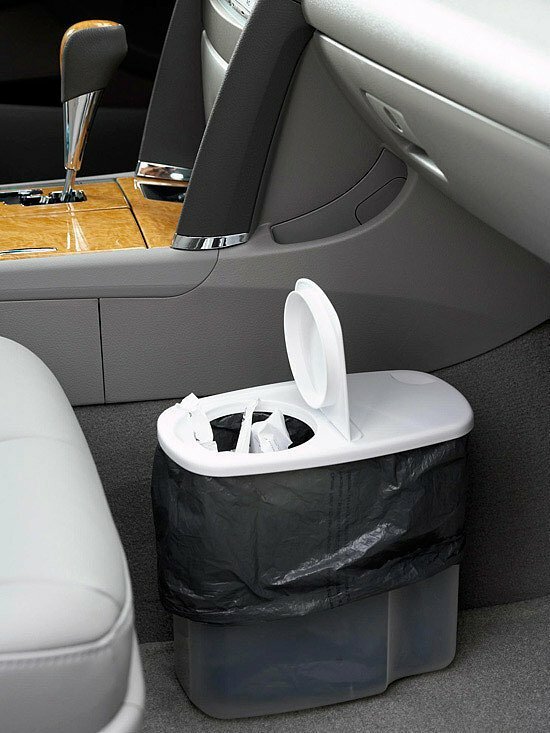 Convert a cereal container into a useful trash can for your car floor especially they are not protected by extra car mat or rug. 2. 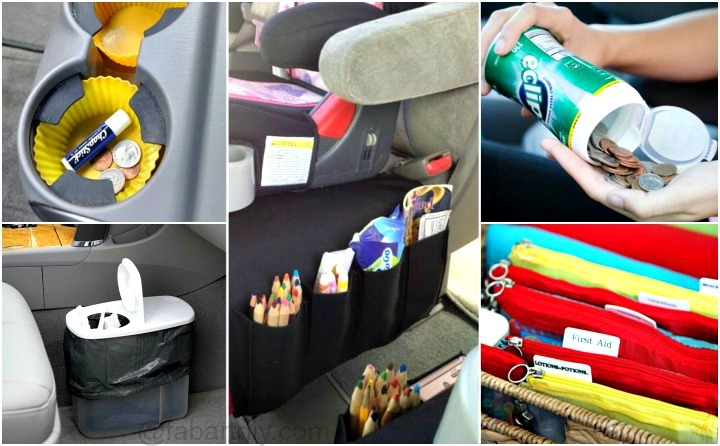 Make a Hanging backseat pockets with a shoe organizer. 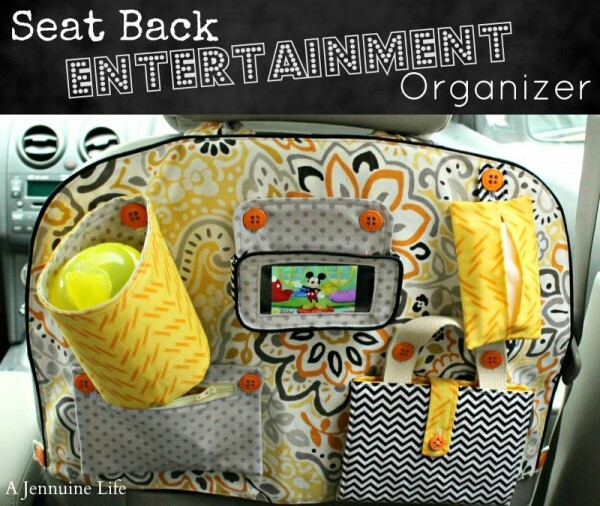 Organize all small stuff into small bags and chain them together for family travel fun. 4. 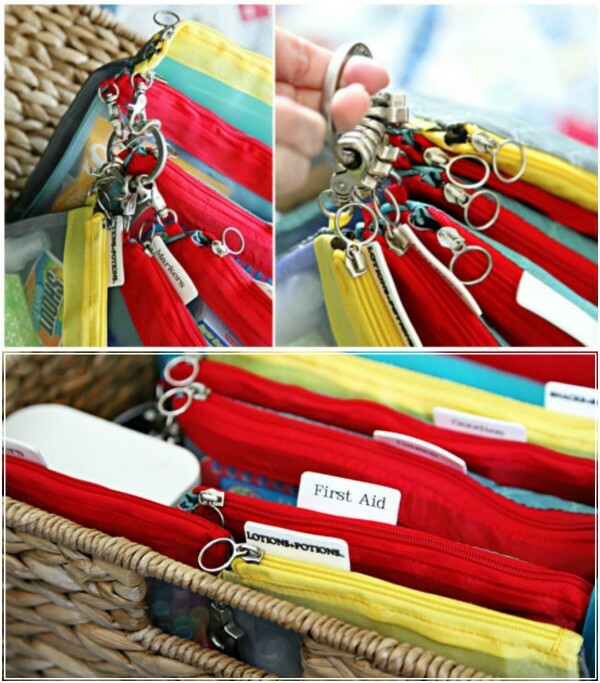 Pry open a key ring with a staple remover. 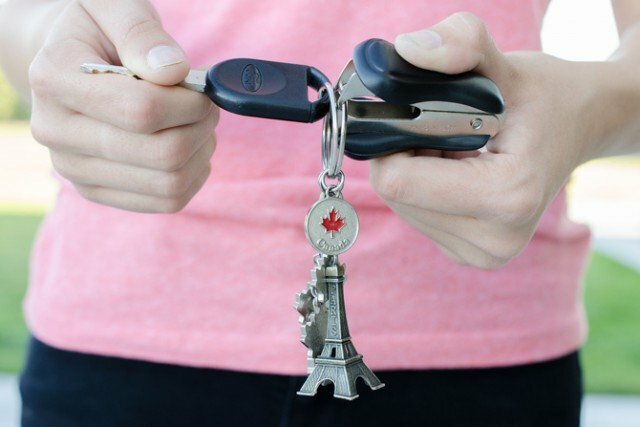 You won’t hurt your fingers if you use a staple remover to help you add in more keys to your car key ring. 5. Keep loose change easily accessible with an empty gum container. 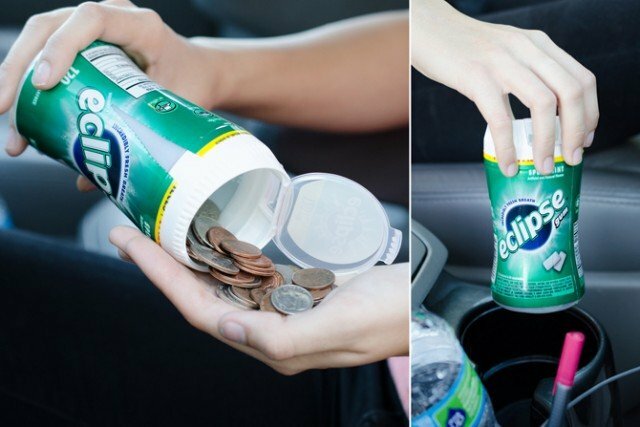 Upcycle an gum container or other bottles into a container to store your quarters in. Flort Remote Control. 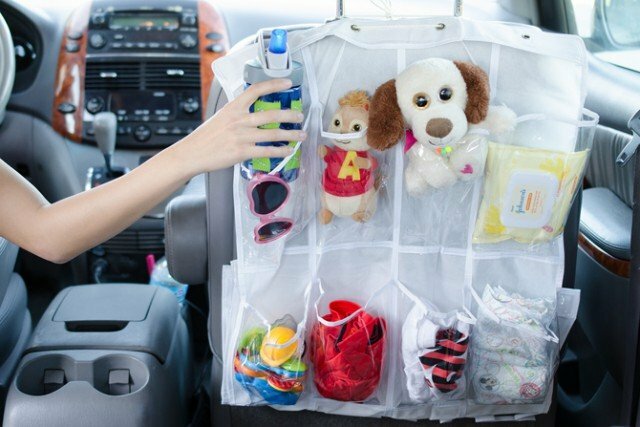 It works just as well as a car organizer for kids. Stuff it with art supplies, tissues, toys, books, paper, etc. 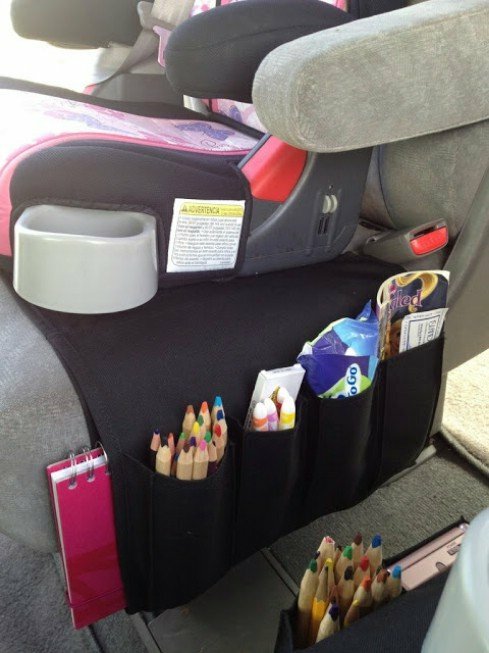 And the best part – it doubles as a seat protector for those messy little buggers. 7. 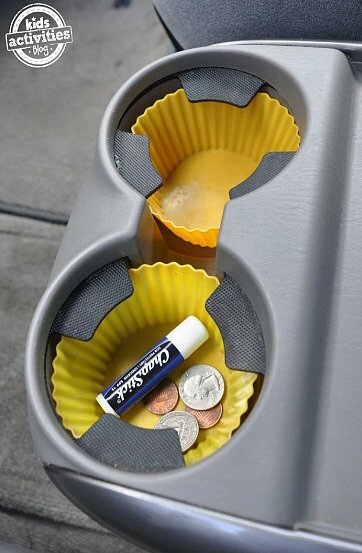 Put silicone muffin liners in your cupholders. 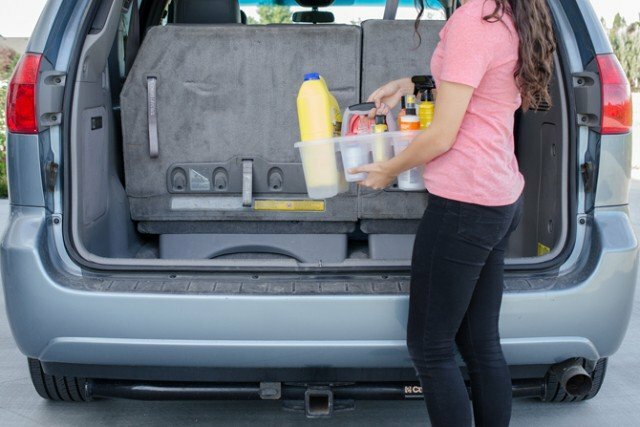 Crumbs and stickiness will become a thing of the past (at least as far as your cupholders are concerned). 8. 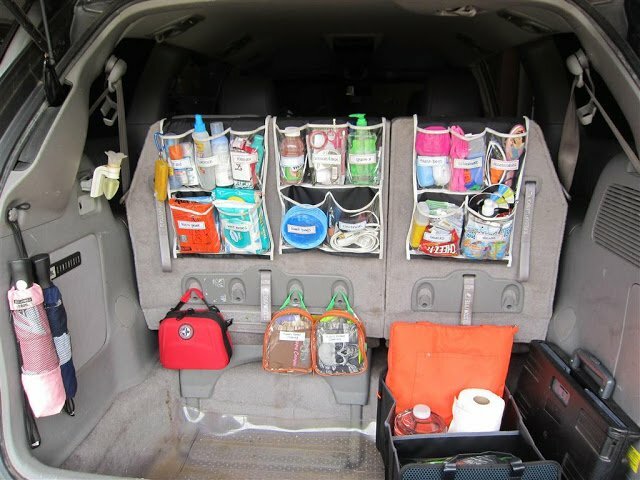 Organize all the oil and fluids you need for a road trip in a shower caddy. 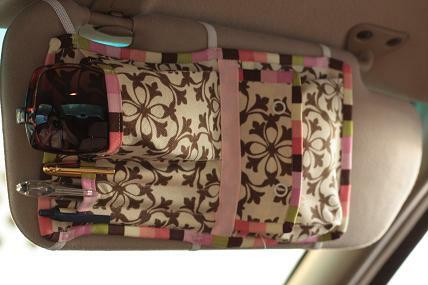 Sew a organizer for your sunglasses, pens and small stuffs along the back of your car visor. 11. 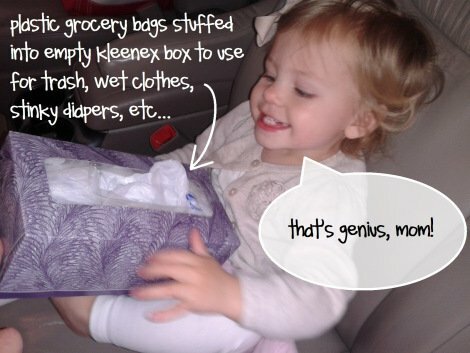 Put Plastic bags/Trash bags into empty tissue box.